Whatever was above the cook top is missing. 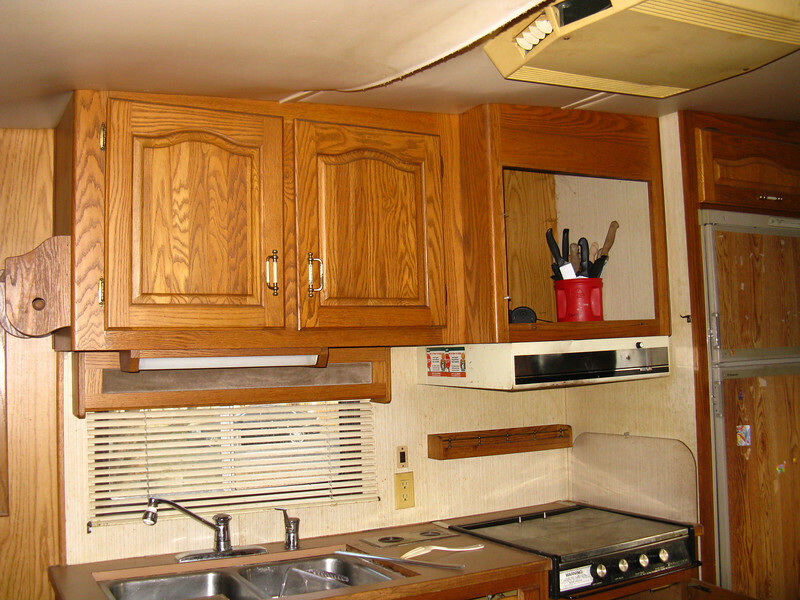 That compartment has a roof vent, so it was probably a microwave/convection oven combo. The left hinge on the cook top cover is missing. The door panels on the refrigerator are badly scratched up and still have some stickers glued to them.